This early grape variety is from an unknown genetic origin. 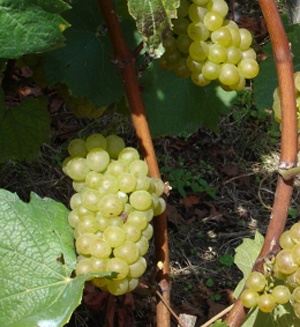 Chasselas is accounted among the varieties of the Alps and more precisely Lake Geneva area. Sensitive to sag during wet and fresh weather, it demands often severe stalking during good conditions flowering. It requires a very sophisticated winemaking process due to its low acidity. 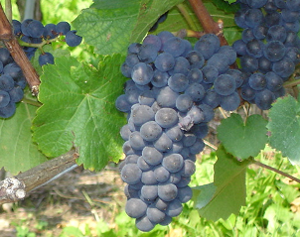 If grown in light soils, it produces subtil and floral wines. 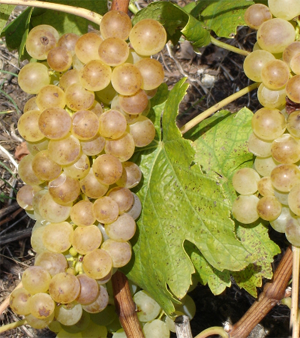 On the other hand, if grown in limestone and clay soils, Chasselas becomes more refined and gains in complexity. This grape variety with an exceptional bouquet is difficult to cultivate. Very susceptible to many pests and parasites (wasps, birds, rot). Its sweet and sour wort provides dry or dessert wines, which makes it a very popular curiosity. 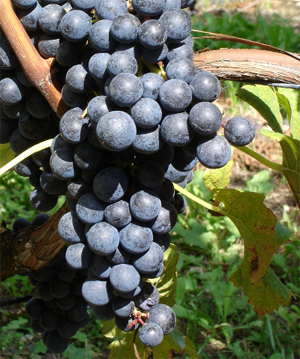 This very old grape variety whose parents are unknown, gives the great red wines of Burgundy. 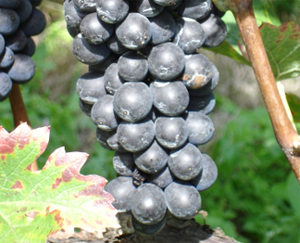 Pinot Noir is an early variety and is susceptible to rot at the end of maturation. It requires thin soils to express its complexity. Winemakers are rewarded with great subtlety wines, only if they apply high standards to this demanding grape-growing and winemaking. Barrel aging is only possible with concentrated Pinot Noir. 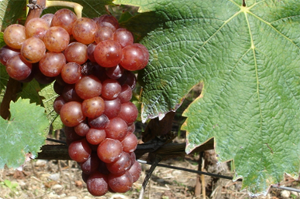 This grape variety originated from Bordeaux and Ticino ripens about 10 days after Chasselas. Some people considered it as the son Cabernet Franc. This variety is susceptible to shot berries at the end of the ripening period. It produces fine, round, full-bodied and fruity wines. 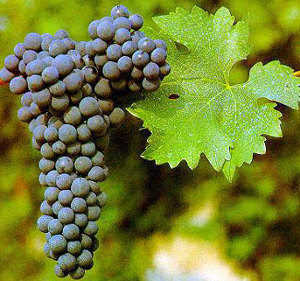 Merlot requests strict performance limitations and does not like very dry grounds. This grape variety was obtained at the Institute of Weinsberg in Germany in 1971. This early ripening grape is generous and is not susceptible to rot. It produces very colorful , strong flavor with low acidity wines. The first results are promising. 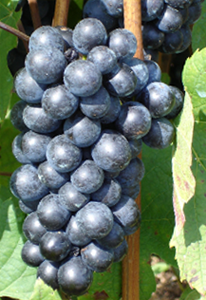 This small berry grape variety is a natural hybrid of Pinot Noir and White Gouais. It’s consider as the brother of the Gamay! This variety is somewhat susceptible to mildew and rot. Due to its maturation in oak barrels, its wort rich in sugar and acidity grow the wine in complexity. Clay-limestone ground seem to give the greatest wines. 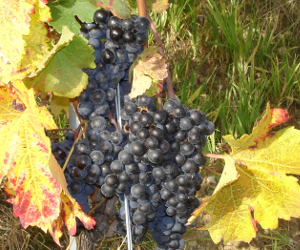 Gamay is the primary grape variety from Beaujolais. It is sensitive to rot when the grapes have ripened. In order to obtain quality wine, Gamay’s fertility requires a severe destemming. If harvested early, this grape varierty produces fruity, vigorous and fresh wines. However, a late harvest provides high quality, rich and slightly spicy wines. It offers very good results in our sandy and not very calcareous grounds. This early grape variety, which is obtained from a crossbreeding of Gamay Noir and Reichensteiner (white) has been discovered by Mr. Jaquinet (researcher) at Domaine de Caudoz in Pully in 1970. During this crossbreeding, he also got Garanoir and C41. On the other side, the white varieties obtained gave uninteresting results. 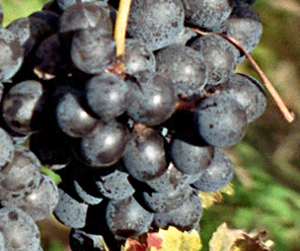 Gamaret berries, which are rich in tannin, are very sensitive to rot. Gamaret gives structured and colorful wines. This wine allows an ageing in barrel as it stands a certain level of ageing. 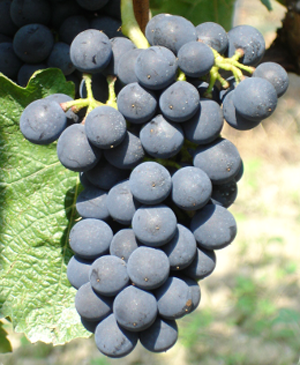 Diolinoir is the result from crossbreeding between Pinot Noir and Red Diolly. Thanks to its good resistance to rot, the harvest can be delayed in order to obtain fine, full-bodied, fairly neutral, and rich in colors wines with good tannins. This noble grape variety from Bordeaux is considered as a late variety. Only a very good exposure, thin soil and a strict yield limitation allow the production of quality wine. Raising Cabernet Sauvignon in our region is very challenging, because this very colorful and rich in tannins wine does not tolerate a lack of maturity.